In 1958, the nation of Guinea in West Africa declared its independence from France and embarked on a remarkable journey to reinvigorate its indigenous culture. Led by a progressive and charismatic President, Sékou Touré, the Guinean government invested heavily in the arts and introduced several key policies which were radical for the time. The government paid musicians to make music, it bought them their musical instruments, it built state-of-the-art recording studios, and it was the first government in Africa to release music on its own recording label. These policies help elevate Guinean music to the forefront of music of Africa. With the death of Sékou Touré in 1984, however, it all came crashing down. His policies were abandoned and the government archives were ransacked and left in neglect. 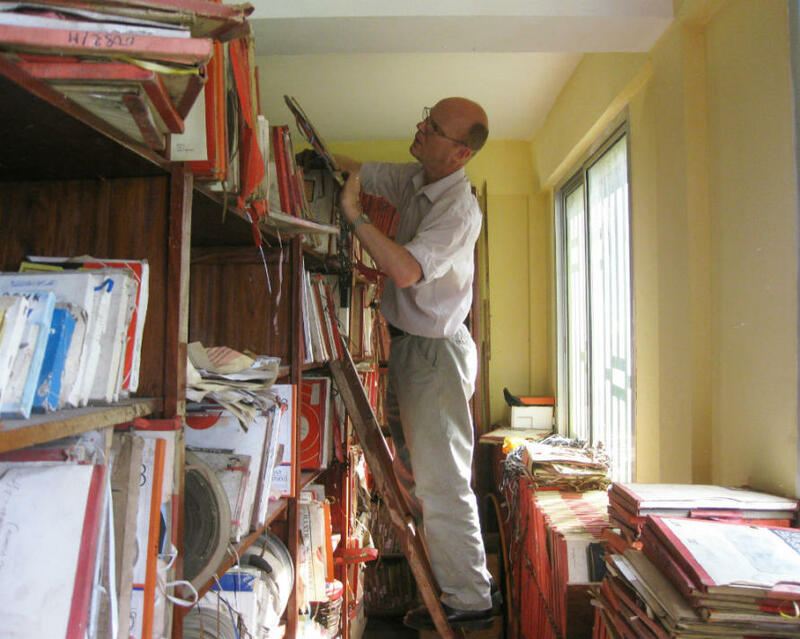 The British Library recognised the importance of preserving the music archive, and through their Endangered Archives ProgrammeI was the recipient of over A$100,000 in funding. The British Library recently announced the launch of the archive through the British Library Sounds website. Over 9,000 songs that were preserved, digitised and archived in Guinea are now available, and are the first recordings that the Endangered Archives Programme have presented to the public. 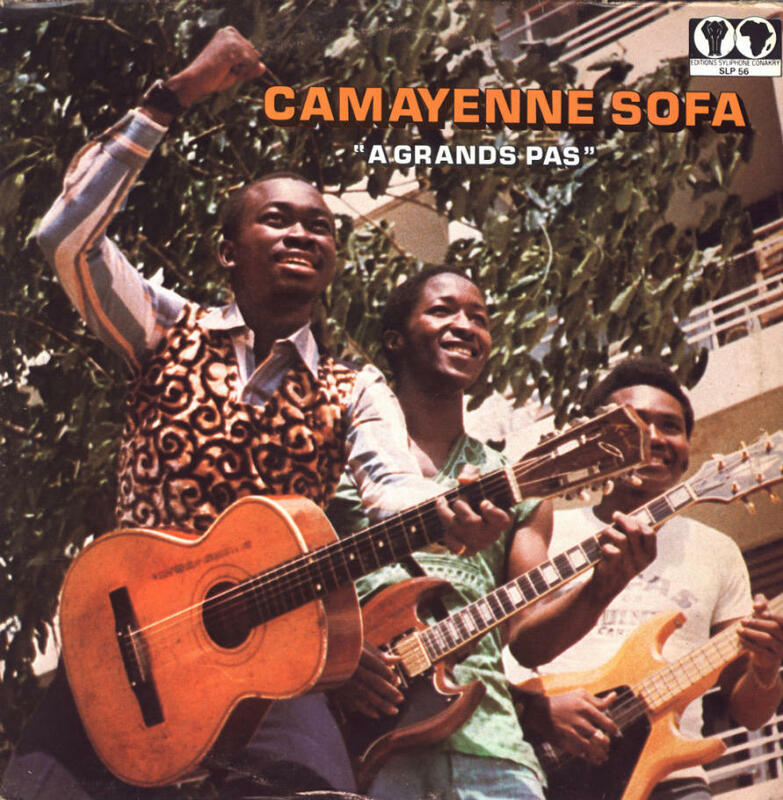 Camayenne Sofa. A grands pas, 1976. CC BY (Attribution) ‘Editions Syliphone, Conakry’, under license from ‘Syllart Records/Sterns Music. The story of Guinea’s music archive is a fascinating example of the efforts of a new nation to assert its voice. President Sékou Touré recognised that one of his greatest challenges was to create unity and a sense of nationhood among Guineans, who had suffered under 75 years of colonial rule. He met these challenges by introducing policies which would rejuvenate culture, particularly music. In the early days of independence he demonstrated his resolve when he announced that all private music groups in Guinea were disbanded and that all Western music on the radio was banned. Touré’s objective was to promote indigenous African music, and to do this he must first rid the nation of negative cultural influences. He replaced the private groups with government-sponsored dance orchestras and he tasked the musicians to modernise Guinea’s traditional musical styles. An orchestra was created in each of Guinea’s 35 regions, and alongside them were theatrical troupes, traditional music ensembles and dance troupes, all paid for by the state. Miriam Makeba et son Quintette Guinéen. 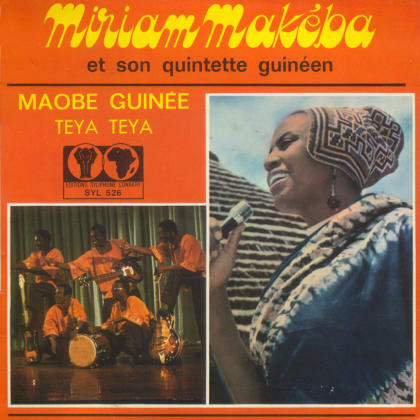 Maobé Guinée / Teya teya, 1970. CC BY (Attribution) ‘Editions Syliphone, Conakry’, under license from ‘Syllart Records/Sterns Music. The Syliphone label released 160 vinyl discs on 33.3 and 45rpm format. Professionally packaged and produced, with expert annotations, Syliphone discs were distributed throughout Africa and are now highly sought after. Following Touré’s death, and a military coup, a counter-coup in 1985 saw the offices of the Radio Télévision Guinée (RTG) bombarded and the sound archive partially destroyed. I had been an avid collector of the discs for more than a decade when I proposed to the Endangered Archives Programme (EAP) that I reconstruct the catalogue and present it to the Guinean government. They agreed to provide funding, thus the “Syliphone archival project” was borne. I arrived in Guinea and was fortunate to be there during the preparations for the nation’s 50th anniversary of independence, for my project became of a focus of the Ministry of Culture’s activities. Dr Graeme Counsel in the Radio Télévision Guinée archives. After several months I had collected the complete catalogue and it was then displayed to the public in the National Museum. The project’s success enabled me to commence the archiving of what remained of the RTG’s sound archive: rooms full of audio recordings on ¼” magnetic tape. These were potential Syliphone vinyl releases and they numbered in their thousands. It was a huge archive, perhaps the largest sound archive in Africa, and with many of its recordings now brittle with age it represented a great challenge. With only a few weeks to preserve, digitise and archive the collection, I successfully applied for EAP funding to return the following year. One of the archived videos by Syliphone artists Bembeya Jazz National playing in 1979. In the interim, Guinea’s long serving President Lansana Conté had died. This heralded a military coup, and when I returned a new regime was in power, and one that was increasingly unpopular. An opposition rally at a soccer oval was attacked by the Guinean army in an infamous event known as the “stadium massacre”. In the aftermath that followed, with crimes against humanity charges pending and the nation heading towards violent conflict, it was clear that working at the centre of the government broadcaster had become too dangerous. The RTG adjoins a small army barracks, and it was here a few weeks after the project was abandoned that the President was shot in the head, though he survived the assassination attempt. His government fell, nevertheless. My third EAP project was launched during the current presidency of Alpha Condé. With the support of his Ministries of Culture and Communication, I completed the archiving of the audio collection. 9,410 songs of the finest Guinean music recorded between 1960 and the late 1990s had been preserved, digitised and archived. In celebration of the project, Guinea’s Minister of Culture organised a soirée where Les Amazones de Guinée, Africa’s first all-female orchestra, performed. In recognition of the projects and their contribution to culture, the Guinean government awarded me their highest honour for academic achievement, the gold medal of the Palme Académique en Or, and a Diplôme d’Honneur. The Ministry of Culture organised a ceremony to celebrate the end of the project. The Minister of Culture & Dr Counsel both made speeches, and the all-female orchestra Les Amazones de Guinée performed, as did Keletigui et ses Tambourinis. The event was broadcast live. The Syliphone audio archive holds great significance, not only as a resource for musicological research but also for the social sciences more broadly. The archive contains thousands of songs in both traditional and modern styles, including many unreleased recordings by artists of the calibre of Kouyaté Sory Kandia, Miriam Makeba and Bembeya Jazz National. It captures an important era of African history, that of the independence period, when governments and artists alike looked to Africa’s history and culture for inspiration. 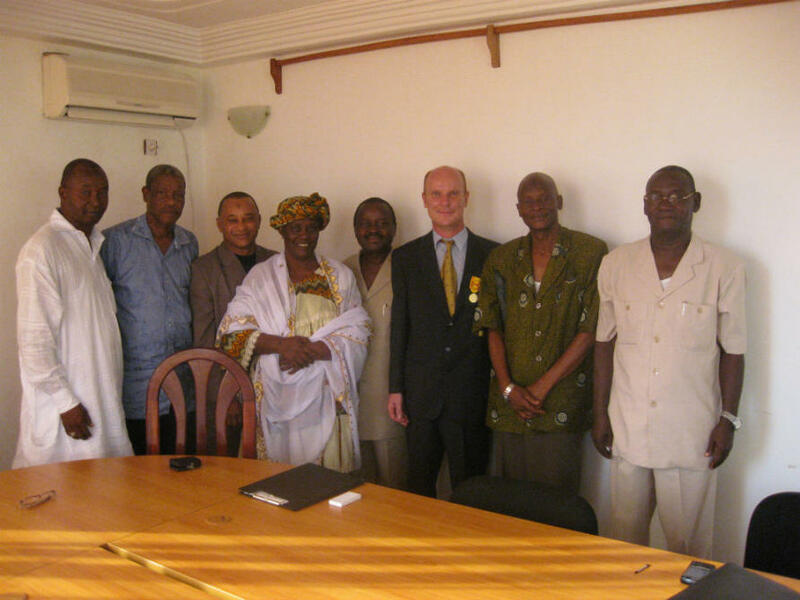 Dr Counsel received Guinea’s highest academic honour, the gold medal of the Palme Académique en Or. To his right is Dr Aly Gilbert Iffono, Minister of Culture, des Arts et Loisirs. See also “Music for a revolution: The sound archives of Radio Télévision Guinée”, in From dust to digital: Ten years of the Endangered Archives Programme (Maja Kominko ed., Cambridge: Open Book Publishers, 2015) and the author’s website – www.radioafrica.com.au. Banner image: CC BY (Attribution) ‘Editions Syliphone, Conakry’, under license from ‘Syllart Records/Sterns Music.